I’m currently a self-employed/freelance writer, which has its ups and downs. When I feel a little lost and confused about my ‘career’, I often think back to my first attempts at selling my creative wares and yes, you’ll be pleased to know, it does involve comics (which is why you’re here, right?). Unfortunately this leads me to lament the fact I ever gave up drawing. I was never a Richard Branson kind of kid who had a lemonade stall (which I suspect is more common in the US than Europe anyway) or operated a lucrative trade in black market Mars Bars or Panini stickers in the school yard. But I did manage to sell a few of my comics, mainly to neighbours and friends of my parents back when I lived in Coventry, where I went to Primary School. 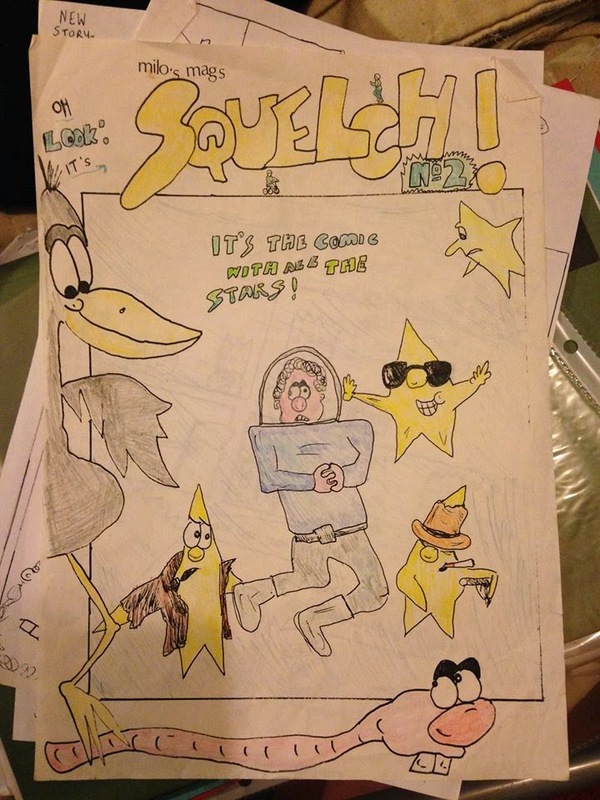 My comic was called Squelch! and was a pretty innocent affair. it featured a host of highly original characters. Well, when I say highly original.. some of them were based on my creatively named soft toys such as an alien creature I called Piddle, and then there was Wilbur and Caw about a worm and a crow, King Splat, Stir Trek (about the adventures of the tin can enterprise) Fatman and Ribbon (yes I know, highly original). But it was the inclusion of my neighbour’s cats that gave the comic its monetary value. How could they refuse to pay £1 per issue when I’d lovingly hand-drawn the bloody thing, and included their cats as a regular characters (under the title Coventry Cats)? Alas I fear that I continue to make some of the same business mistakes now as I did then. I had a limited market (after all, I couldn’t include everyone’s bloody cats as regular characters), the issues took forever to create and once you take into account paper, pens and photocopies, the whole venture operated at a loss rather than a profit. Such is the lot of the creative person, you might say. Not only that but the majority of the originals are lost. My mum did ask the neighbours if they still had them, many years later, but alas they had long since chucked them in the recycling, and who could really blame them as their cats had probably died many years before. By the time I got to around 11 years old I had to finally admit I had grown out of the Beano and at some point I turned to the alternative humour of Oink! (see my previous guest post for Fred Egg Comics) and Acne. However whilst my humour may have developed, my artistry hadn’t really improved significantly. 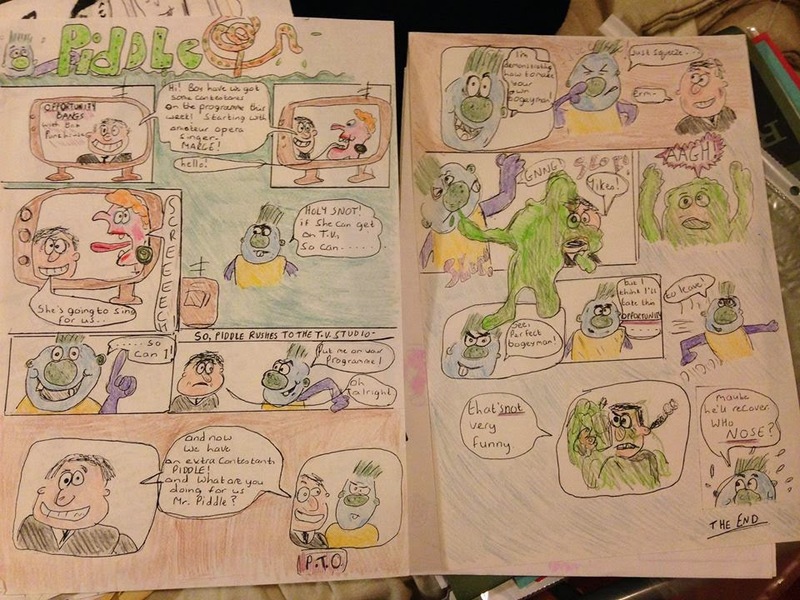 We visited friends of my parents and their son, who was the same age, displayed a vastly superior talent to my own, drawing stuff that I thought matched the comparitive intricacy of the Garfield cartoons and I think he even had a few published already in the local paper. I was devastated. 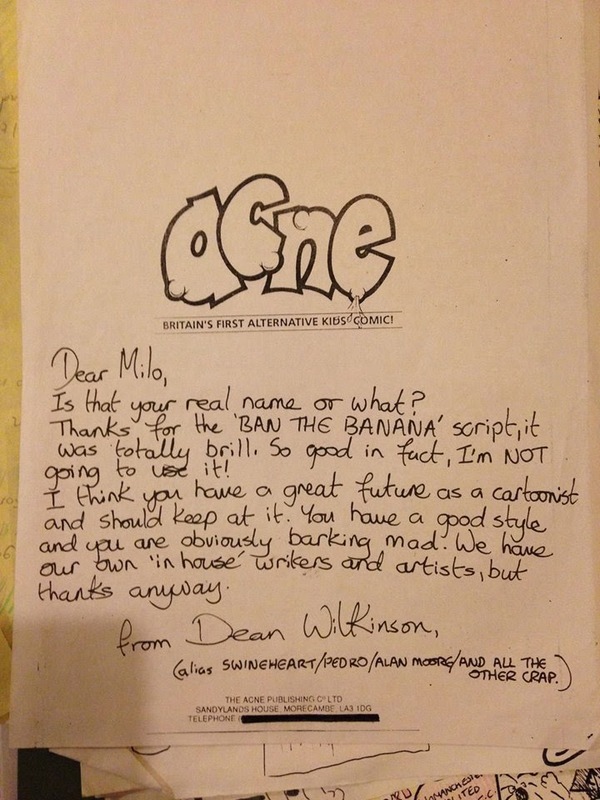 The final straw came when I submitted a (rather embarrassingly bad in retrospect) comic series to Acne called “Ban the Banana” and received a rejection letter saying I was “obviously barking mad”. I have since found the letter and it also happens to say “you have a great future as a cartoonist and should keep at it”. At the time though I ignored this positive message and instead took the rejection to heart, giving up on drawing comics entirely. I regret now that I didn’t really work at improving my drawing ability at the time. I also regret being discouraged because of one rejection letter and because I believed my friend of the same age was better - after all I can see now that we all have our own unique style and lots of cartoons/comic strips that could be described as technically unimpressive can still be brilliant. I still try to tell stories through my blog posts, videos and podcasts but let’s face it there’s nothing quite like making comics, and I miss it.